Houston Texans quarterback Deshaun Watson tore his ACL last week and will be sidelined for the rest of the season. The Texans offence was moving along nicely, but they looked like a completely different team with backup Tom Savage under center. 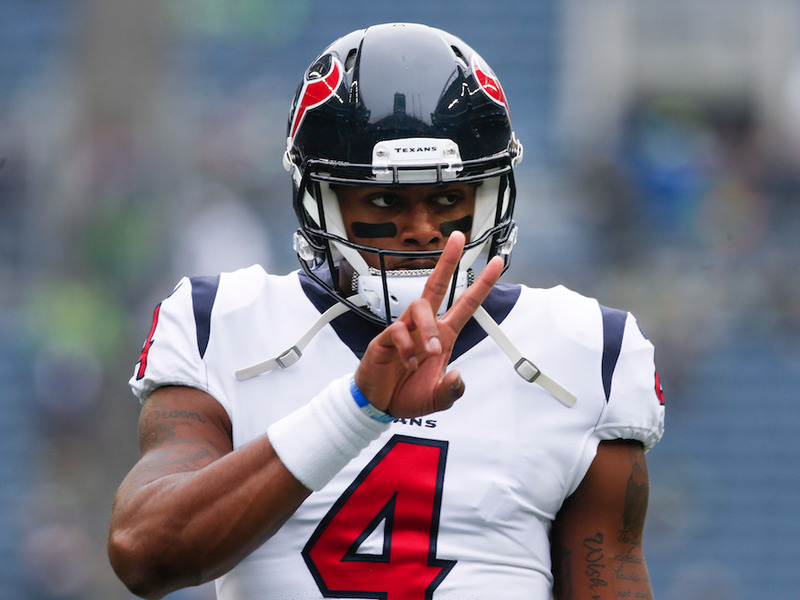 With Sunday’s loss to the hapless Colts, Houston is well out of playoff contention, underscoring just how important Watson has become after less than half a season with the team. Deshaun Watson went down with a knee injury less than one week ago, and it’s already clear that the Houston Texans are in for rough sailing without him. Months after winning the national championship in his junior season at Clemson, Watson was chosen with the 12th overall pick in this year’s draft and wasted little time in earning the starting job, making his NFL debut in the second half of Week 1. The Georgia native fought through some early hiccups to become one of the most prolific players of the first half, amassing totals of 1,699 passing yards, 269 rushing yards, and 19 touchdown passes through his first seven games. Sitting at 3-4 in a relatively weak division, the Texans had an outside chance to make the playoffs, but those hopes were dashed with some devastating injury news. An MRI revealed that Watson suffered a freak non-contact ACL tear, bringing an end to one of the most thrilling and productive half-seasons by a rookie in the history of the league. The Texans moved backup Tom Savage into the starting role for Sunday’s game against the Indianapolis Colts, and sure enough, the results were alarming. Savage couldn’t complete even half of his passes against the Indianapolis defence, which has surrendered the most yards of any NFL team this season — in fact, the offence didn’t score a single point until the final seven minutes of the game. The result was a 20-14 loss. It was an abysmal performance, especially compared to Watson’s last game of the season. The rookie faced off against the Seattle Seahawks’ world-renowned secondary and didn’t blink, throwing for 402 yards and 4 touchdown passes. It wasn’t a perfect performance by any means — he threw three interceptions, and the Texans actually lost 41-38 — but he remained poised under constant pressure and made the most of his limited arsenal of weapons to keep things close. With Savage, the Texans looked like a totally different team. Wide receiver DeAndre Hopkins caught fewer than half of his targets, while Will Fuller, who returned from injury in Week 4 and forged an immediate chemistry with Watson, put up second-stringer numbers, making just two receptions for 32 yards. Despite the diminished air game, running back Lamar Miller had just 13 touches, making it extraordinarily difficult for the team to get anything going. Even if the Texans can get it together in time for this Sunday’s game against the Rams, they appear to be miles away from contention. Keep in mind that while the Colts are the worst defensive team in the league, the Rams’ unit is above average, ranking 17th in yards per play. It looks like Houston’s next good shot at the postseason will come next year, when Watson is set to return. The rookie tweeted a heartfelt statement reaffirming his commitment to the Texans and their fans late last week. The Texans and Rams will get underway this Sunday at 4:05 p.m. ET.